We were honored to have members of the El Paso Corvette Club on campus October 24, 2017 to present a donation to the children of the Lee & Beulah Moor Children’s Home. The El Paso Corvette Club’s 1st Annual Golf Tournament was held October 16th at Butterfield Trail Golf Course and what an fantastic event it was. The hard work and dedication of the club members raised $12,200 for the children of LBMCH and we are so excited to say that we can now replace the existing play structure for our kiddos! 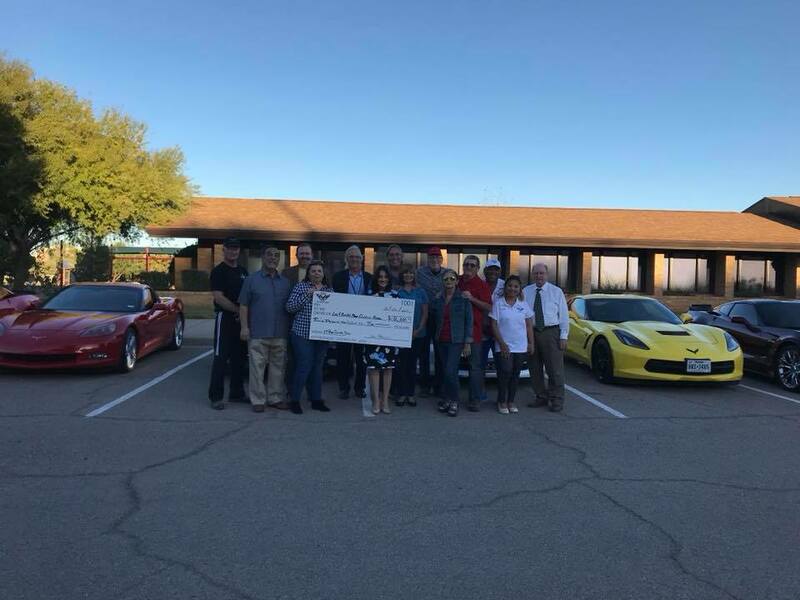 The children and staff here at the Lee & Beulah Moor Children’s Home cannot say “Thank You!” enough to our wonderful friends in the El Paso Corvette Club!